Take a look at who's speaking. A couple of weeks before the event we will email you an event planner, (using the email address you used to buy your ticket). Simply browse the sessions and record your selections on your planner. Remember to include time to visit our ConNEcT Hub and Make A Difference Zone, and to have lunch and network. Whilst you can do this during registration, most people find it easier to do beforehand. WE HAVE MORE SESSIONS TO ADD SO DO CHECK BACK! 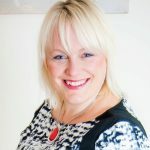 Jean Atkinson is a Chartered Marketer and has run her own marketing business, Eden Marketing, for over six years. ‘The Book of You’ is a session focused on storytelling; a technique used by all of the top brands and one which everyone can use to position their brand and grow their business. Lots of top tips and techniques to take away with you including the presentation. My Nana used to say if you want something doing ask a busy woman – and she was right! 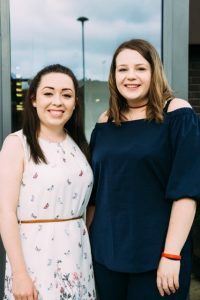 But as we juggle running a business, with family commitments and the pressures of modern life, it can feel as though time is a rare commodity that we just don’t have anymore. But it doesn’t have to be this way. Join Melanie to learn the simple time hacks every woman should know – make more time to do the things that really matter to you. Melanie ‘accidentally’ founded WhyNotChange in 2009 and quickly built it into a multi-award winning enterprise. 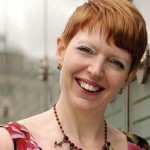 She helps businesses, social enterprises and charities to grow by taking practical action in as little as 30 minutes a week! She’s also a tendering expertwho has helped organisations win over £168m of contracts and grants. Whilst doing so she also finds time to create the North West Women’s Enterprise Day; volunteer for national, regional and local causes; manage extensive family commitments, (including having her 3 boisterous grandkids stay every weekend!) and find time to read a couple of books every week, create fabulous freeform crochet (do ask her! ), and have her nails done. 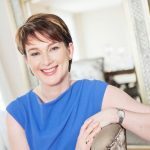 The epitome of ‘ask a busy woman’ Melanie has been recognised by a cabinet full of awards including National Enterprise Champion and being named as one of the Maserati 100.
Business can be uncomfortable, scary, nerve-racking, disappointing, devastating and more. Learn how to be affected as little as possible, bounce back as soon as you can, feel confident and empoweresd and be your most successful. Spoiler alert – you can use these methods with even the most difficult challenges e.g. 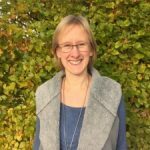 Maureen started her business in 2004 and is a behaviour and emotional specialist, bereavement specialist and workplace trainer. 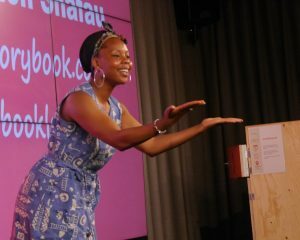 She teaches confidence and NLP including to challenged teenagers . Her own confidence is a testament to what can be achieved. She used to be shy, lacking self-confidence and panic stricken talking to business people. 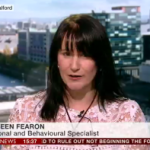 Now you can hear her weekly talking on the BBC about many aspects of human behaviour. Running a business can be a very lonely place. We offer support, nurturing, training and guidance to all of our staff and customers. But what happens when things don’t go to plan? I have a thriving business which I have grown over nine years. I have won a number of awards for business, innovation and staff support. But when one day it all went pear shaped I lost confidence in myself. I needed to refocus, rethink and move quickly. In this workshop I will run through some hints and tips that will help you make sense of a bad situation, refocus and move forward with a clear plan. In simple terms fail to plan, plan to fail! I will also tell you where I went wrong and what I have learnt never to do again. This happens to everyone at some point. Be prepared and be confident in your vision. After more than a decade of professional experience with nationally acclaimed practices, Lisa was made redundant. Struggling to find a role that would enable her to balance continuing her professional career with her family’s needs, Lisa created her own. 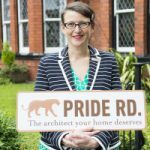 Pride Road is an architect franchise that enables both her and her franchisees to use their hard-won skills to best effect, do what they love, and spend time with those that they love. 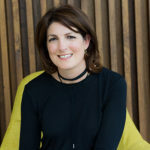 Lisa is passionate about making the industry a better place for women and also sits on the RIBA Council. When you are busy and up against the clock, it’s very easy to focus all your energy on one thing to the detriment of everything else. Are you happy with the direction that your life is heading? Have you ever stopped to think about it? This session will introduce you to the Wheel of Life, a powerful, visual tool. It will give you the opportunity to focus on where your life is right now compared with where you would like it to be. When you recognise the gaps, you’ll be able to start action planning so you can take control and successfully move forward. Oriel helps mums to be their own Super Mum or Career Mum and to get more out of life. Through one-to-one and group coaching, Oriel champions her clients to confidently move from where they are now to where they want to be. Personality profiling (understanding how they tick) and exploring their values (what is important to them) is just the start of the journey. Oriel brings 20 years of experience. Working in the public sector, for a social research agency and regeneration consultancy, the common theme throughout was engaging, listening, challenging and supporting. Oriel has a Master’s Degree and Personal Performance Diploma (Distinction) together with DISC Personality Profiling Accreditation with The Coaching Academy, Europe’s leading accredited coach training organisation. Nicola’s story is one of loss and hope. Of embarking on a new journey with twists and turns, supported by incredible people and insurmountable kindness. Hear about overcoming obstacles and challenges, of guidance, inspiration and a desire to change a tiny bit of the world and make a difference for many. Mum to 2 Sons, Nicola has worked from the age of 13. Enjoying a travel industry career of over 25 years, she gave it all up to pursue a future she never expected to have. She lives in a village near Hyde Cheshire and is devoted to her family and friends. Have you ever wondered why so many businesses have videos on their websites? Are they just a nice visual touch or is there a strong marketing rationale behind it? We promise after this session you will #BelieveInVideo as much as we do. Also, do visit us on our stand where we’ll be sharing tips and giving practical demonstrations on how to look good on camera! Established in 2008 BellyflopTV is a leading video production company in the North West. We have made over 2,000 videos and helped hundreds of customers to grow their businesses. We believe in video and the impact it has on your brand’s identity. Whether you’re a sole trader, SME, charity, social enterprise or public sector body, BellyflopTV will put you on the map. In today’s online world it can be all too easy to hide behind a screen and lose sight of the importance of ‘offline’ relationships in both business and life. But there is a different way – call in the professionals! Are all your friends in relationships? Do you have a friend who keeps falling for the wrong guy? Does it seem impossible to meet like-minded, single men? As a professional woman does it concern you that clients and colleagues might see your online dating profile – or even more embarrassingly reply to it? Join Annabel as she shares the secrets of professional matchmaking. Pick up tips that apply equally to business relationships as they do to personal ones. INTRO NW Personal Introductions is a dating service run by professionals for professionals. Real people – not an app or a website. Based in Wilmslow, we use our experience, expertise and network to personally and confidentially match single professional people in Manchester, Cheshire and the NW. Relationships are too important to leave to chance or a computer algorithm – so call in the experts. One of the biggest barriers to growing a business is the fear of picking up the phone and selling you and your services to people who don’t know you. This workshop will give you great tips and ideas on how to get over that fear and an insight into the wonderful world of telemarketing. Stop hiding behind emails and get comfortable with the ‘old fashioned’ art of starting a conversation with a stranger. It’s good to talk! Founded in 2015, IQ4Business specialises in telemarketing and lead generation. Their niche is working with companies that are doing a great job but are too busy to spend time keeping themselves on the radar of their past customers or finding time to do the hard work searching for new ones to keep the pipeline topped up. This not telesales – Liz believe that communication is key to ensuring that clients are kept on the radar of their prospects for when they are ready to buy! Have you ever thought that a Virtual Assistant is ‘just a secretary’? The reality couldn’t be further from the truth! What would you give to have somebody who not only ‘gets’ you and your business but also brings a wealth of business experience to YOUR business. Someone who knows what works elsewhere and can help with matters from strategy to planning to growth activities as well as lifting the burden of day to day operational and transactional aspects. Join Joanne as she shares the benefits of partnering with a VA who not only looks at your business with fresh, experienced eyes, but is also well connected and wants your business to be as successful as their own. Joanne will demonstrate how bringing on-board a VA is, one of the most important decisions you can make to help drive the growth and success you deserve. 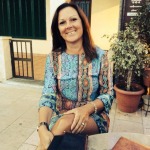 Executive VPA, founded in early 2012 by Joanne is an established ‘outsource resource’, working with a range of businesses from sole traders to large corporate organisations such as Peel Holdings. 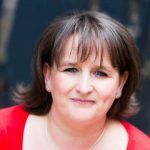 Working with this variety of businesses has enabled Joanne to showcase the benefits of working with VAs as ‘business partners’ rather than as ‘just a VA. Joanne educates both businesses and VAs on the importance of working side by side. Authentic, real and with a visible passion to see others succeed, Joanne/s impact has been recognised through winning North West Virtual Assistant of the Year, (after just two years in business) , and being a finalist in Warrington’s Business Woman of the Year and shortlisted for Cheshire Woman of the Year. 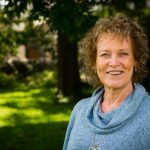 Joanne established the first ever North West VA Conference in 2015. Flourish is a Community Interest Company that supports women to create the change the see needed in their communities. We do this through peer learning, intensive support and training, mentors, crowdsourcing and investment. We have a network of over 300 women changemakers in the NW and beyond who support each other to make a difference and increase their economic independence. We’re also looking for your thoughts and ideas for a collaborative Women Changemaker Festival in 2019. In business, your external appearance says a lot about you – your clothes speak very loudly! Within just 7 seconds of meeting a potential new client, they are already deciding whether they want to work with you – and you may not even have spoken yet! How you show up, is vitally important. However, it’s not only about impressing others. When we don’t feel great about how we look, our confidence can really take a knock – and this impacts our body language and behaviour. Confidence comes from knowing who you are and what you stand for and reflecting this in how you dress and how you behave is a powerful way to show your confidence to the outside world. In this workshop you will get to grips with your core values and discover how to dress in a way that not only makes you feel great but outwardly expresses who you really are so you can go about your Business with confidence. After over 20 years in the IT Industry Rosie re-trained as a Personal Stylist and 5 years on, is now a multi-award winner in her field. Rosie works with Business Women whose confidence is being knocked by not knowing how to dress in a way that reflects the woman they are today. Rosie believes that there is nothing more important in the world right now than for women to embrace their confidence and self-worth because when they have that confidence, they can create an amazing life for themselves and their family. Using her styling know-how, Rosie helps to rebuild her client’s confidence by helping them to discover their signature style and giving them the tools they need so they can dress in a way that makes them feel amazing and truly reflects who they really are. Are you feeling overwhelmed with social media? Are you fed up of getting no likes on your post? Do you find yourself comparing your number of followers to others? Do you wonder whether it’s worth it? 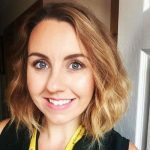 Anna will talk through some of the most common social media myths and why creating a social media strategy will help you to feel more positive about your social media presence, whether that’s on Facebook, Instagram, LinkedIn, Twitter….or any other platform! Cross Bay Marketing helps companies to ensure their time, money and effort on marketing is well spent, working together to create a marketing strategy that delivers your business goals. Join Nikky for a personal development session unlike any other. Using what appears at first glance to be a simple and childish format, each question and challenge opens up discussion and the opportunity to reflect on your personal development. There is plenty of opportunity for everyone to ‘dare’ to do something – and all in a space where failure and exploration are welcome. Becoming Storybook is a social enterprise that produces magical storytelling adventures for adults and children. 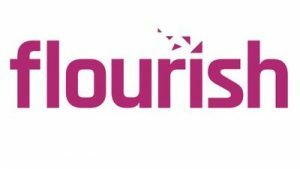 We offer a range of services for businesses including team building, workshops, speaking and performances to enhance events. Our diverse clients have ranged from Manchester Metropolitan University to arts festivals. Available to perform at venues across the UK – locally you may have spotted our pop-ups at The Bridgewater Hall, Manchester Central Library and Hulme Community Garden Centre.